The first zipline that I completed is called 'Personal Portfolio'. 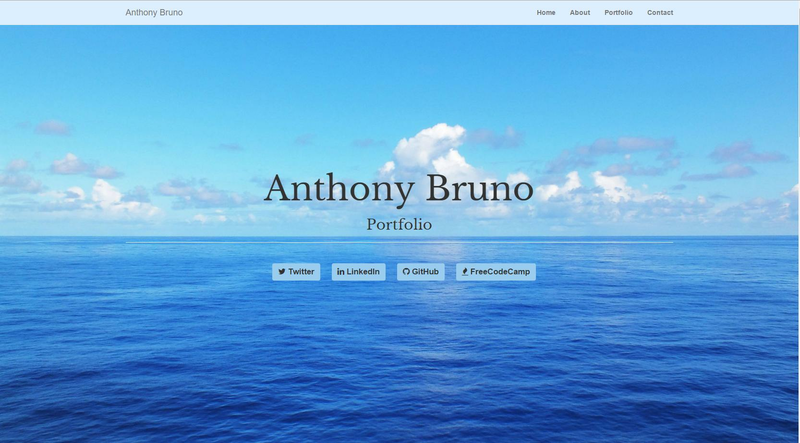 With this zipline, I was tasked with creating a one page website using bootstrap. The website had to fulfill certain requirements, such as having a navigation bar, clickable thumbnails of projects and links to social media. I believe I did pretty well with the project. I achieved all the requirements required and learnt a lot about bootstrap. For example, I though that a site built in bootstrap had to be all contained within a container class. Through this project, however, I discovered you can have multiple containers to seperate different sections of the page. If you want to see the full site, click here or have a look at the source code.